State of the art comes to swim rafts in this one-piece all-poly swim raft from ShoreMaster. With extra features for added safety and convenient use, you can’t go wrong. But you can count on ShoreMaster’s standard 3-year warranty. 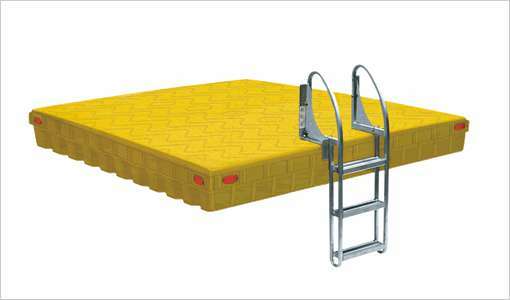 Large 7.5’ by 9.5’ non-skid deck surface One-piece all-poly swim raft 3000-pound capacity Raft weight is approximately 325 pounds. Available in yellow and tan. Rope and anchors not included!